Argh I recently read a post on Reddit where people were saying it is hard to make six figures online in a year. I’m calling shenanigans on that. It is absolutely possible to make six figures online and you too can do it if you have a skill that people will pay you for and the gumption to go after it. 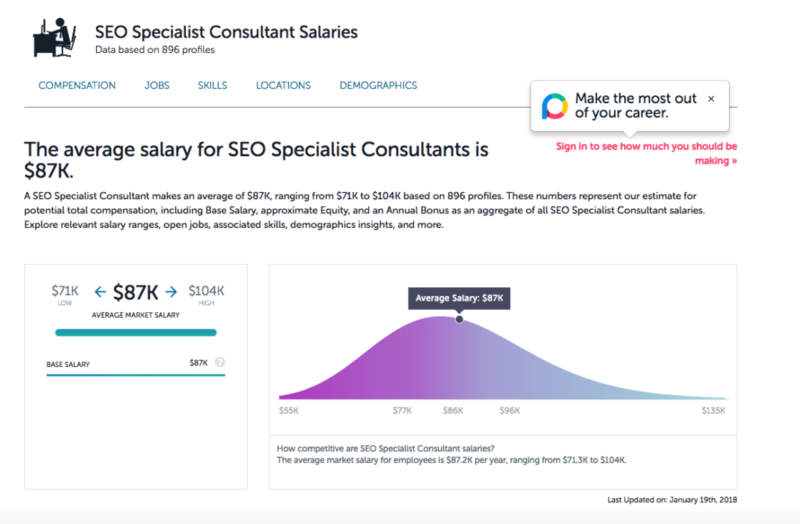 You might see these consultants who say that they make multiple seven figures a year as a consultant and then went to teach you how to do it. The thing is, I totally believe them that they make that. There’s no reason why you can’t as well, but it’s going to take some major mindset shifts to make it happen. Have four clients each paying you $2,083.25 a month for 12 months. That’s it. That’s six figures a year in revenue. People say it’s so hard to make $100k/yr before taxes. I call shenanigans. To make $100k in a year you need 1 client paying you $8,333 a month, 2 clients paying you $4,166.50 a month, or 4 each paying you $2,083.25 a month. After taxes you’ll have about $65k-$75k depending on where you live. If you live in NYC you might have to have roommates if you want to live in Manhattan, but if you live in Columbus Ohio then this is a great income. Let me stress this at the top of this post – this post is not about the size of your income. You can make good money in many different ethical ways, but if your mindset isn’t straight then you’re always going to struggle. In the US, we’re taught by our education system to settle and to do what it takes to pass the test. Once we get out into the working world and have a full time job, we see “passing the test” as saying the right thing, getting the right promotion, and not getting laid off. We’re taught that this is security. This is not security. I’ve been laid off before as have many of my friends, and let me tell you that the illusion of security in a job is just that – illusion. In many US states, employment is “at will” which means that they can lay you off for no reason at all. That’s right, they don’t have to give any reason. Just simply “You no longer have a job.” They are not even required to give you severance pay. Most will give you two weeks or something like that, but in most cases they are not legally required to give you anything. That should be terrifying to you. I hope it is. The other side of this coin is that we’re taught not to ask for raises, or that it’s awkward to talk about money. This is business. You have to know your worth and ask for it. 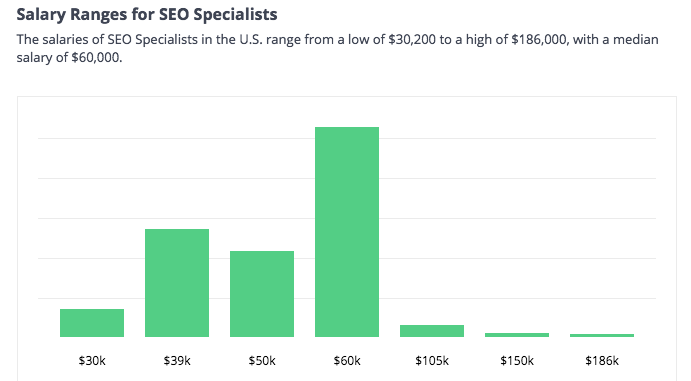 If you’re a professional SEO consultant, you should never just charge $50 an hour. $75 is the absolute minimum, and even then you’ll probably have the right clients ask why you are charging so little. Remember, undercutting on pricing is playing a game to the bottom where you are commoditized and ending up with the worst clients. Let’s say a consultant is charging $100 an hour and billing 30 hours a week, which is 120 hours a month. They’re making $12k/mo before taxes then, which is $144,000 per year. Even at 20 hours a week, they’re making $8k a month which puts them right at that six figures mark of revenue per year. Tell me again that it’s hard to make six figures. The worst way to make good money and change your life is to work for someone else where your compensation is dependent on a boss or the company’s ability to give you raises. You’re a cog in the machine. If you’re super happy being an employee (and trust me, sometimes I wish I was because it would be way less stress), then you need to know your market value and be willing to go after that. Often this means changing jobs, as unfortunately that is usually the way to get the best raises commensurate with your experience. If you are lucky and providing a ton of value to your company, then maybe you can get good raises. Your mileage may vary, but it stands that someone else is determining your earning potential. They are dramatically undercharging and thus ending up with terrible clients who demand too much and pay too little. You would be amazed at the number of consultants I’ve had pop into my Twitter DMs complaining that they can’t get enough clients, but when I go to their site it either doesn’t load or doesn’t have a way for the client to contact them! There is literally no contact information! How are they supposed to contact you in that case? By carrier pigeon??? Other times I go to their site and see a generic WordPress template that offers generic things like “SEO services” or “content marketing”, but I have no idea who they do it for. Small businesses? SaaS companies? Enterprise sites? B2B? If they can’t answer that quickly, then you’re not going to sign the client. Once you move to this, the possibilities open up for you but you need to be ready for a step change in your life. I grew up in rural-ish Virginia, outside of a university town where my father has worked for 30 years. I grew up with cow fields across the fence from our back yard. I grew up riding horses and ATVs and hiking in the Appalachian mountains. I grew up with a lot of people who come from blue collar families. Some of them were the first in their families to graduate high school, and many were the first in their family to go to college. Many of them faced the “What are you, too good for us now?” commentary from family who were jealous. And that might happen to you when you are trying to uplevel yourself in life. People will be jealous, people will hate, people will try to hold you back. Ignore them, unless they are good friends who you know and trust and you know have your best in mind. But you should also be willing to ignore them. If we’re talking about your business and you literally cannot take on more clients because you are maxed on time, you need to change your approach. You need to make more from each customer, which means either raising prices (and doing it well) or attracting completely new customers who pay you better and allow you to cycle out your lower paying customers. To do this, you’re going to have to change your marketing approach. Instead of teaching people how to do it, teach them why they need to do it. Teach them what will happen if they don’t. You’re going to uplevel your customers and your business at the same time. No one likes to talk about pricing or making revenue. I fully expect to get some haters in the comments section of this post, which is why I have turned them off. Making great money as a consultant doesn’t have to be hard. It’s math. There are skills that you need to make that math actualize, but you can learn those. Change your mindset from “I can’t” to “Why can’t I?”. Also, money is not the be all and end all. With more absolutely come new problems that you will have to learn to solve. Money will not make you happy – it will only amplify the unhappiness in your life. So be careful with what you wish for. Should you have a cofounder or start your company solo?